As your dentist, we’re trained to provide you with stunning results that not only bring an award-winning smile, but symmetry to your face. With dentofacial aesthetic injections, we can help restore balance, volume loss and youthfulness to your face with a number of certified non-invasive treatments. If you’re completing a treatment like a smile makeover, opting for dermal fillers or anti-wrinkle treatments can be the perfect addition to complete your new look! If you’re wondering what you can do about facial volume loss or deep wrinkles, dermal fillers may be an option for you. This temporary injection is designed to plump up areas of volume loss in your face and is comprised of a naturally occurring substance in your own body. 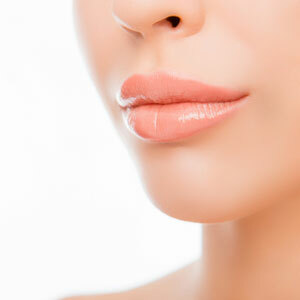 For patients who would like to add volume to their lips for a more youthful, revitalised appearance, lip injections are a quick and easy solution that can provide a temporary solution. To combat fine lines and wrinkles in the face, injectables are used to temporarily freeze facial muscles in order to provide a smoother, more youthful appearance. If you’d like to learn more about receiving Anti-wrinkle Treatments & Dermal Fillers at your next visit, we’d be happy to speak with you further. Contact us today to learn more!